Got this close, originally uploaded by asdhollywood. Missed the tram and didn't want to walk. 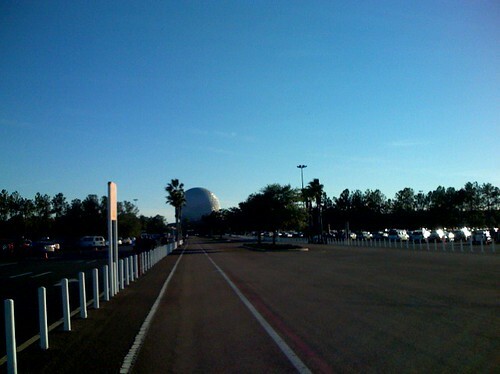 I gave up on spending more time outside and headed to Downtown Disney. I am now sitting in Aud 18 of more than I can recall (maybe 36) at the AMC multiplex awaiting the start of Enchanted since I was able to use an old Loewes gift certificate to get in free rather than pay the $8 twilight price (regular price is now $10).